For most websites, search engines are the primary source of web traffic. 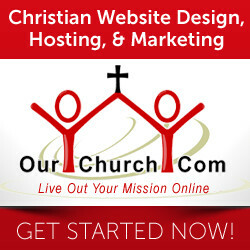 Search engine optimization is great way to get visitors to your church’s website, but it takes time. If only you could pay someone to skip ahead in line. You can! Pay-per-click search marketing is a way to get in the search engines for your targeted keywords in less than 24 hrs. What is Pay-Per-Click Search Marketing? With search engine optimization you attempt to increase your rankings in the natural search results by optimizing your website. The only thing you may have to pay for is the optimization, if you hire someone to optimize your website. All the traffic that you get from the search engines does cost you a thing. With Pay-Per-Click (PPC) search marketing, you don’t have to optimize your website (though we recommend you still do). Instead you bid to have your website listed in the search results for certain keywords and then pay for each visitor that comes to your website through that listing. So, every time someone clicks on your listing, you pay, thus pay-per-click. The most common pay-per-click options are Google’s AdWords, Yahoo Search Marketing, and Microsoft Adcenter. Currently it’s estimated that Google controls about 90% of all pay-per-click search marketing (report), so I’m going to focus on Google AdWords. The PPC ads are displayed on the top and right side of the search results. In most search engines, they are labeled as “Sponsored Links”. In fact you could probably get your PPC campaign going in about an hour or less. For most churches, however, the simple approach will suffice. The keywords that will be most valuable to most churches are local keywords. So, you already have an idea of what keywords you want to choose. In addition, with pay-per-click campaigns, keyword popularity isn’t very important. Some keywords may get searched 100 times a month and others only 5 times a month, but you want to show up on the results for both and you don’t pay anything extra for it. So, keyword research is minimized. The Best Marketing Value Ever? For most local keywords, especially church-related keywords, few if any organizations are bidding. Therefore, keyword bids will most likely be very low (around $0.05 – $0.15 per click). Imagine getting new people to your website for only $0.05 to $0.15 each. Compare that to the cost of direct mail, billboards, newspaper ads, or any other kind of adverting and it’s an absolute bargain! Larger cities may require higher bids, but bids are still generally less than $0.50 per click. The first step in creating your PPC campaign in Google AdWords is to go to the Google AdWords login page and either login with your existing Google Account, or create a new Google account. After logging in, click the “Click to Begin” button. If you don’t have an account, just click the “Click to Begin” button without logging in. Next you will have the choice to setup a Starter Edition or Standard Edition AdWords account. If your church only wants to have listings relating to people finding a church in your town, then a Starter Edition account should work fine for you. If your church is a larger church and you want to setup listings relating to different services and ministries your church offers, then you will want to setup a Standard Edition. One of the great features in Google AdWords is that you can opt to only have your ad shown when the person searching is located in a specific geographical location. This is called, “geo-targeting. For example, if you want to have a listing for the keyword “church” and your church is located in Crescent City, CA, you don’t want your listing showing up for people searching in Manitoba, Canada. So, you can geo-target your local area. Here you will select the destination URL of the ad (the web page people will be directed to if they click on your listing). For most churches, this will be the homepage of the church site; however, if you are targeting keywords related to specific topics or ministries, then you should choose a destination URL (web page on your church’s site) that is related to that specific topic or ministry. In addition, you will setup the text for the ad, including the headline (possibly your church name) and 2 description lines. You can change this information later. So, if you find that you aren’t getting the results you want from your AdWords campaign, you can try different ad text. You’d be surprised at the difference some of the smallest changes to ad text can make. You probably have an idea of the keywords you want to target, but Google also has features that will suggest additional keywords and help you do a little keyword research. Remember it’s not really important how much a keyword is searched for. So, feel free to include keywords that Google predicts will have a low search volume. You also have the option to select match types for your keywords. The match types determine whether your ad will be displayed only for the exact keywords you select or a broader criteria that includes related keywords to those you select. If you are setting up a basic AdWords account and just targeting keywords related to people searching for a church in your town, then you may want to choose the “broad” match type. That way you don’t have to select to target every possible keyword, but rather target more general keywords. Google also has the option to choose negative keywords. If you select the “broad” match type, you may want to check your account from time to time and see for what keywords your ads are being displayed. Next you will be able to choose the type of currency you will use to pay for the clicks. You will also setup your monthly expense limit. Google will not exceed that limit each month. At the end of the setup process, you will be sent an email that contains a verification and activation link. Simply activate your account and you’re on your way. You can then login to your Google AdWords account at any time, check on the progress of your campaign, and make any changes you want. For additional information about setting up a Starter Edition Google AdWords account, Google has provided an online slide show with audio describing the process. You can view that slide show here. If you have just started optimizing your church site or (I hope not) you haven’t done anything for church marketing, I encourage you to look into setting up a basic pay-per-click search marketing campaign. You can set it up in about an hour and be in the search engines by the next day. People are searching today. Don’t miss out. I heard of a search engine website, where you could view websites without visiting them. But I haven't tried it yet. Do you know what that search site is called? Thanks. Bing, the latest version of MSN's search engine, gives you a synopsis of the websites in the search results without your having to go to the site first. But I think you may be thinking of Ask.com. In their search results they have an icon that looks like binoculars. If you mouse over that icon, you can see a preview of the website. I am planning before some days set up of my own business PPC through Google but I have not much ideas how to do after reading this article I got enought knowledge now can make it.But I have doubt in keyword choosing system ,if you describe it's briefly in your next update I will glad. PPC is a great way to advertise, but it can get very expensive very quickly and not show much of a return on ROI if not done properly. Make sure you learn alot about PPC before starting a campaign. I've zero terms to understand this specific post, a person which produced this site ended up being a big many thanks. when i want people all the best to your awesome achievement and also I will anticipate to reveal far more blogposts, thanks a lot regarding sharing your thinking. Really like your blog it has made me happy its a pleasure to read your posts. I did enjoy reading Domino Qiu Qiu articles posted on this site. They are impressive and has a lot of useful Agen Domino information. Yes i am totally agreed with this article and i just want say that this article is very nice and very informative article.I will make sure to be reading your blog more. You made a good point but I can't help but wonder, wh at about the other side? !!!!! !